What better way to celebrate our country than to discuss energy independence? LG’s own will preach on the plug-in revolution and how you can convert your Prius today, using elegantly simple technology. Yes, we’d like better batteries. Yes, we’d like automakers to produce them themselves. But why regret what we don’t have, when something perfectly terrific is already here? 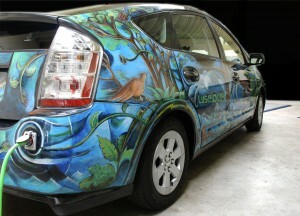 Learn more about Carolyn unleashing hybrids from gasoline for almost two years. The revolution is here, and it’s in a plug.